and enjoy the benefits of a relieved and pain-free shoulder. 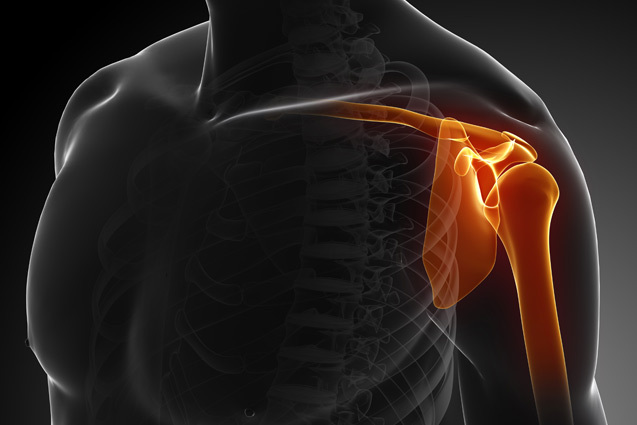 What Is Regenerative Medicine For Shoulder Pain? Shoulder injuries can cause immense pain, but regenerative medicines, such as PalinGen Flow, can be your natural treatment option to for shoulder pain relief. By introducing natural human growth cells and proteins to the area of pain, PalinGen Flow not only relieves symptoms, but regenerates weak and damaged tissue. PalinGen Flow and other treatments regenerate tissue through the use of proteins and growth factors that naturally found in the human body and applied to your area of pain through an injection. The anti-inflammatory, anti-bacterial fluid, directed to your damaged tissue in your shoulder, regenerates cells and relieves your pain. How Will Regenerative Medicine Relieve My Shoulder Pain? Regenerative medicine injections contain a high concentration of cytokines, proteins with anti-inflammatory properties. Once an injection is applied to the shoulder, the natural cells work to reduce inflammation. The anti-inflammatory properties of regenerative medicine injections can lead to relieved pain and restored tissue in the shoulder. What Is Used In Regenerative Medicine Treatments For Shoulder Pain? Along with anti-inflammatory proteins, regenerative treatments contain hyaluronic acid. PalinGen Flow and other regenerative medicine treatments have hyaluronic acid helps your body to naturally produce cartilage and joint lubrication in your shoulder, thereby preventing future joint degeneration. The procedure takes between ten to fifteen minutes and can be done in-office or at an out-patient surgery center. The medicine is injected, by the doctor, into the shoulder joint. Patients usually experience no pain, though an anesthetic may be used, if desired. Most patients only need a single treatment in order to experience significant pain relief. PalinGen Flow and other treatments may start relieving pain within one to two weeks, though full recovery may take months. Healthpointe provides regenerative medicine as a possible alternative to surgery. PalinGen Flow and other regenerative medicines contain anti-inflammatory properties that can reduce swelling and pain in the shoulder. Call Healthpointe at (800) 956-2663 to find out if regenerative medicine is the best treatment for your shoulder pain.